DCM was awarded the mandate was to provide mechanical, piping, electrical and instrumentation services for a Cellulosic Ethanol pilot plant. Enerkem has pioneered the development of a clean technology that transforms sorted municipal solid waste (MSW) as well as forest and agricultural residues into advanced biofuels, high-value chemicals and renewable electricity. 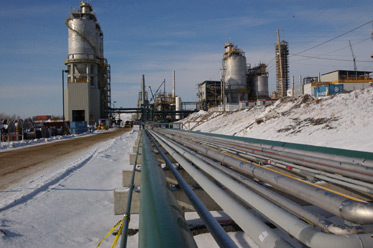 In Westbury, Québec, Enerkem operates a plant located near a sawmill that recycles used-electricity and telephone poles. 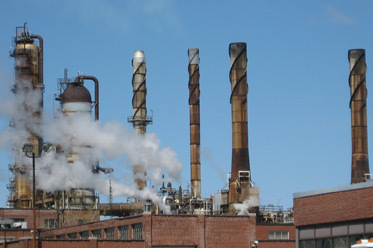 The plant, which is located in a rural area, converts the non-usable portion of these poles into useful products, such as bio-methanol and ethanol. DCM, through its Systemex Automation partner, was given the contract to perform the complete electrical, instrumentation and automation engineering. DCM proceeded with the electrical and instrumentation supply of equipment and installation complete with instrumentation piping. DCM was awarded the mandate to provide electrical and instrumentation services for gasoline and diesel desulphurization units at the Montreal Shell refinery. 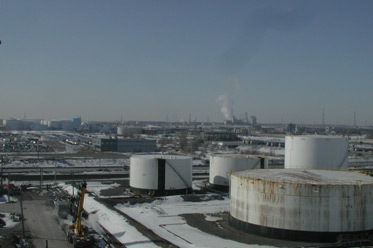 DCM provided mechanical, piping, electrical and instrumentation services for a Terapthalic acid (PTA) plant in Montreal. SNC Lavalin awarded DCM the mandate to provide mechanical, piping, electrical and instrumentation services for a new distillate desulphurization unit at the Montreal Petro-Canada refinery.